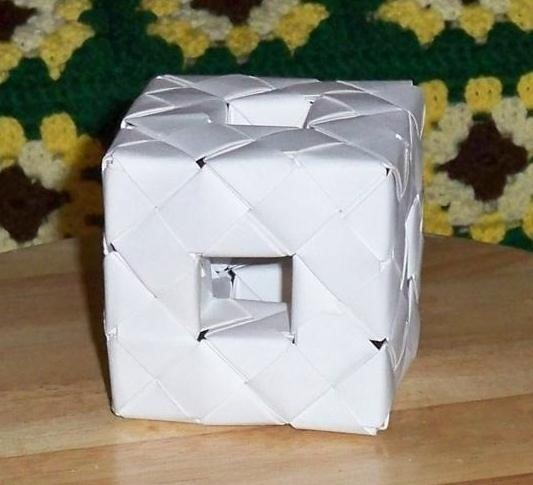 Made some Sonobe modules with some note cards. 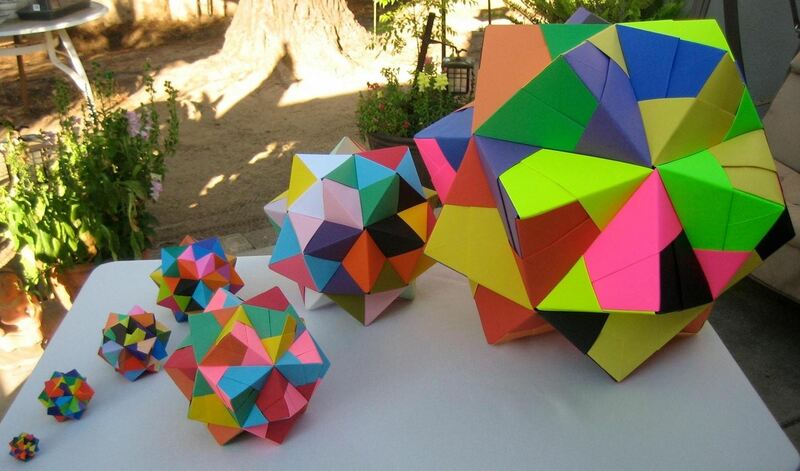 I was wondering, how many units did you used to build the one which is a kind of an icosahedron? 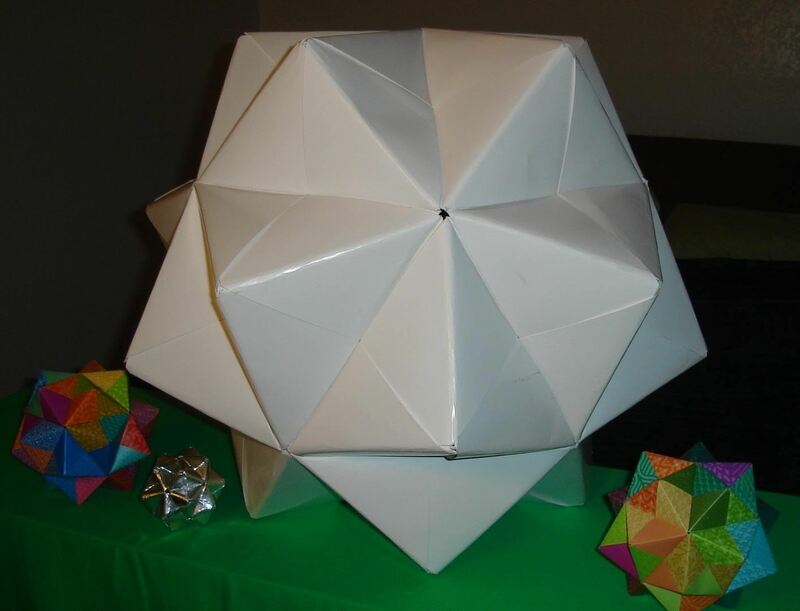 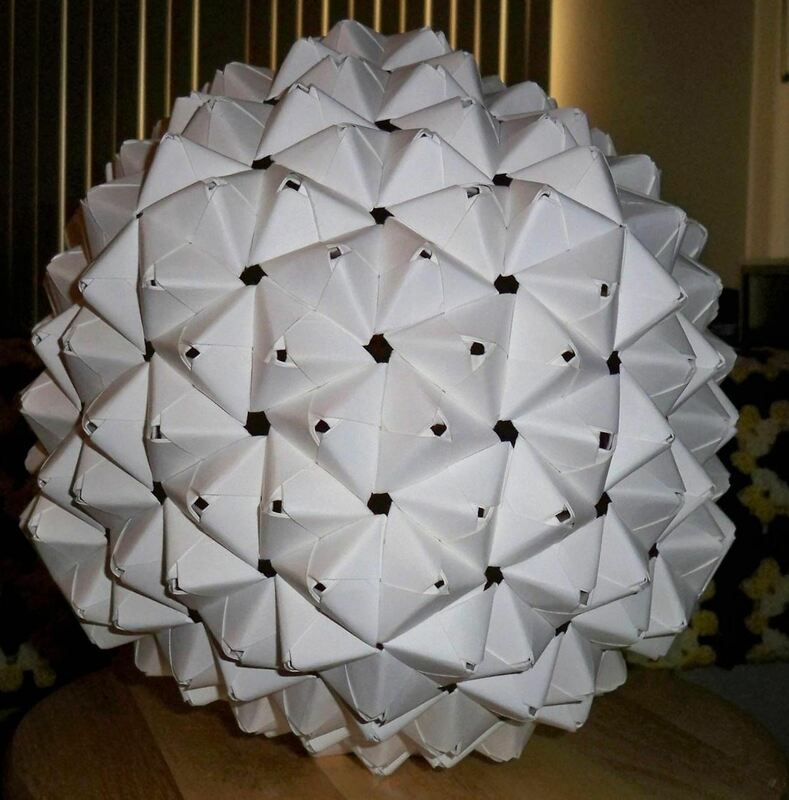 Here are a few sonobe icosahedrons I folded from paper ranging in size from 1.5 inch origami paper to 24 inch poster board.